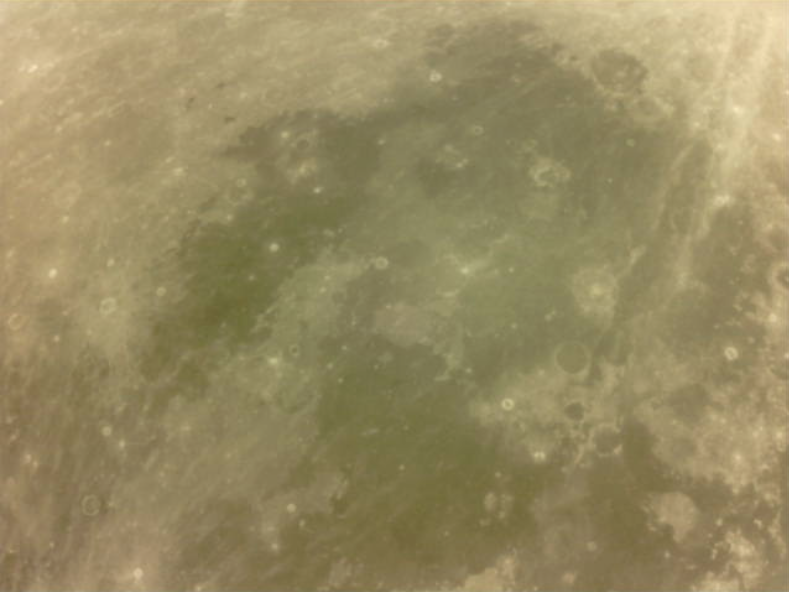 China's Chang'e-4 lander and rover are scheduled to launch in December this year to perform the first ever soft-landing on the far side of the Moon, but the mission's side quests are already performing impressive feats. Data has been downloaded from radio and satellite tracking enthusiasts around the world, including Florida, Brazil, China, the Netherlands, Italy and more. The 50x50x40-cm sat also carries a radio astronomy payload, while also having been built to cope with the radiation environment of deep space. 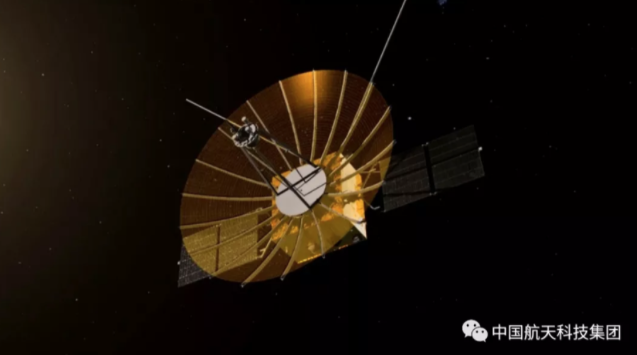 Jonathan McDowell, an astrophysicist at the Harvard-Smithsonian Center for Astrophysics, told SpaceNews in June that the Longjiang/DSLWP probes signal the beginning of ambitious plans for small deep space probes, with the even smaller NASA MarCO probes currently on their way to Mars. “I think in the decade to come, we’ll continue to see ambitious, large planetary probes, like the European-Japanese Bepi-Colombo and China’s Chang’e-4 which are both preparing for launch, but we’ll also see the flourishing of these small, simple and highly focused probes,” McDowell said. Unfortunately its partner, Longjaing-1/DSLWP-A, was lost shortly after trans-lunar injection, and likely remains in distant Earth orbit after a lunar flyby. The student team at HIT also operate the LilacSat-1, a 2-unit CubeSat launched as part of the European QB50 initiative, and LilacSat-2, a technology test satellite launched on the first Long March 6 rocket in 2015. The Longjiang satellites piggybacked on a launch necessary for the the Chang'e-4 lunar landing and roving mission late this year. As the far side of the Moon never faces the Earth, a special relay satellite was launched in May and sent to orbit around a special point in space known as the second Earth-Moon Lagrange point from which it will facilitate communications between the ground and spacecraft. Known as Queqiao, the 450 kg satellite also carries a Netherlands-China Low-Frequency Explorer (NCLE) instrument to carry out low frequency astronomy which is not possible on Earth due to its atmosphere, and provide a window into the cosmic 'dark ages'. A render of the Chinese Chang'e-4 lunar rover designed to explore the South Pole-Aitken Basin on the far side of the Moon. 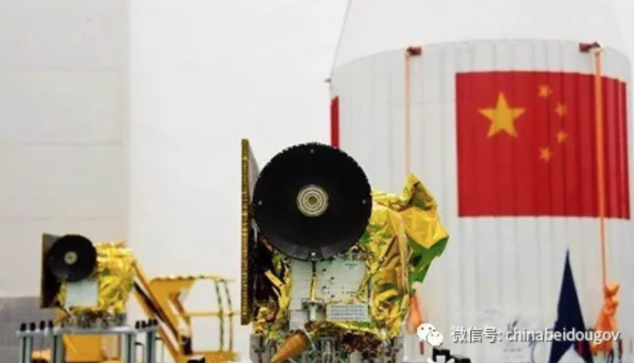 Also aboard Longjiang-2 is a small optical imager developed by the King Abdulaziz City for Science and Technology (KACST) of Saudi Arabia, one of four international partners in the Chang'e-4 mission. That camera returned amazing images of the Earth and Moon together, as well as the lunar surface. 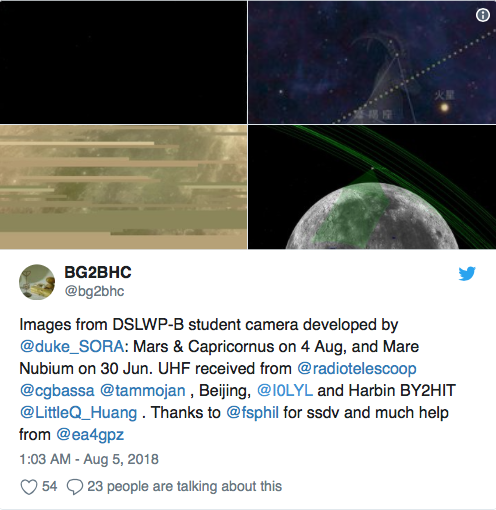 The images were shared following a China National Space Administration event hosted with its Saudi Arabian partners, and further images have not been released. The Chang'e-4 landing and roving mission will launch in December carrying a number of cameras and science payloads with which to analyze the South Pole-Aitken Basin, a fascinating, large and ancient impact basin on the lunar far side. 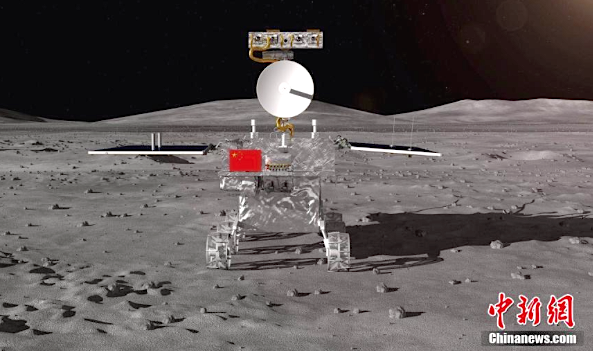 The lander and rover were manufactured as backups to the successful Chang'e-3 landing on Mare Imbrium on the near side of the Moon in 2013, but have been repurposed for a more complex mission.